Badges as cute as a button! Sonia Brit of Bendigo's Bob Boutique has a range of bags & accessories that give you a taste of her shop & gallery. If you visit Bendigo, you MUST stop by! Bob Boutique is located in the lovely Shamrock Building in the centre of town. 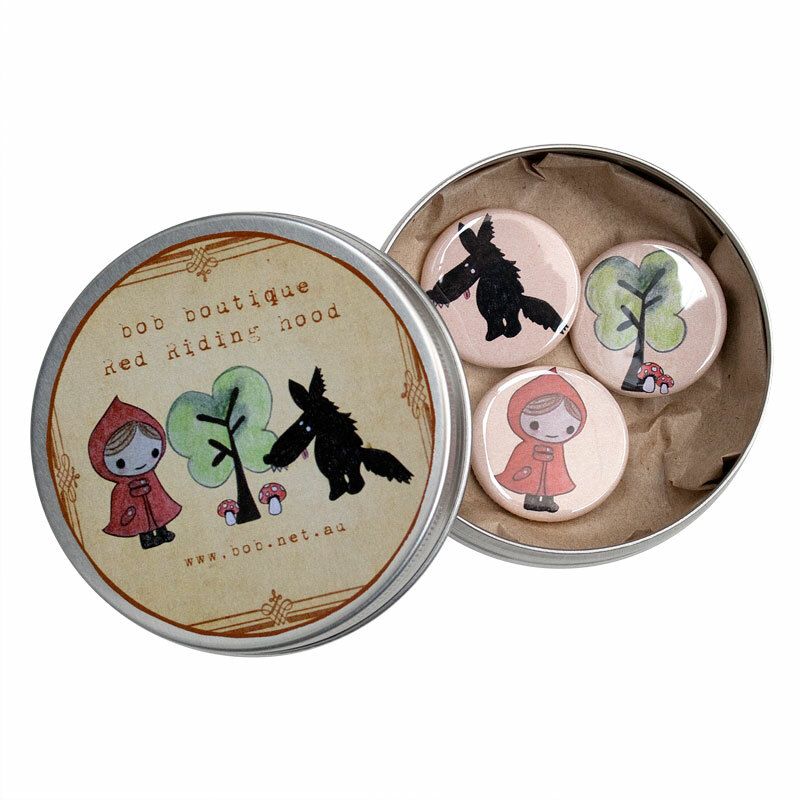 This set of 3 badges features Sonia's illustrations of the classic Little Red Riding Hood tale. 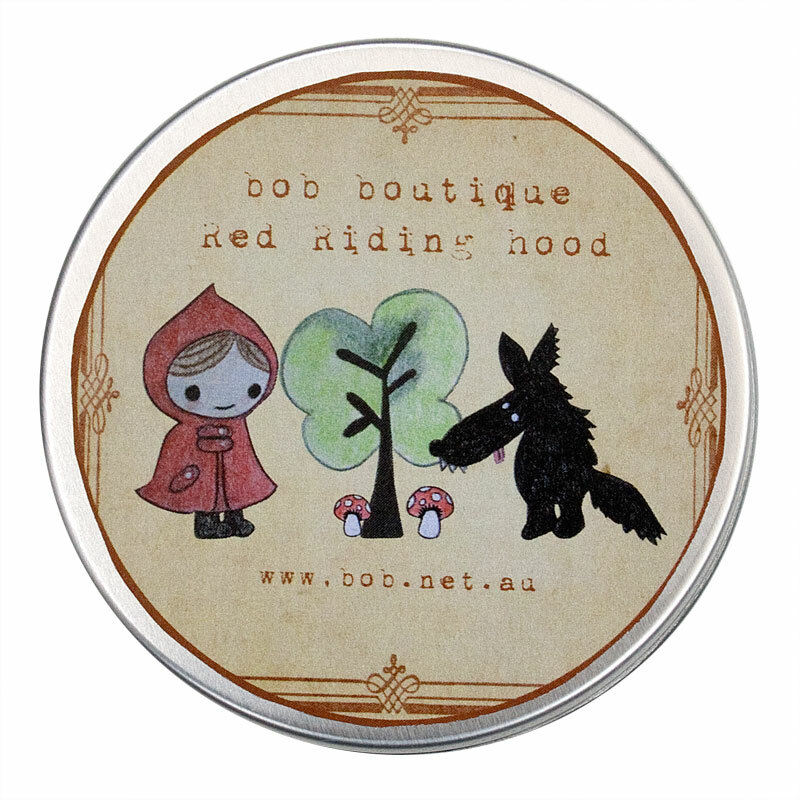 The badges come in a cute round tin with the Little Red design on the front.